FoodYinYang - What's Cold? What's Warm? FoodYinYang What's Cold? What's Warm? FoodYinYang can display the food property and the nutritional information of more than one thousand food items. The food property (Warm or Cold) is based on an ancient eastern medicine. 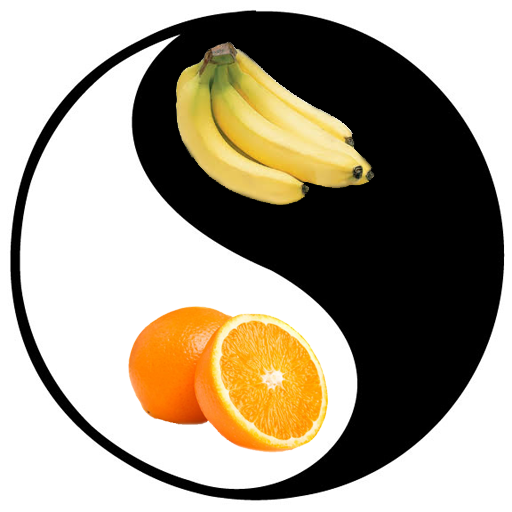 The ancient Eastern medicine practitioners believed that most foods are either Warm or Cold (Yin or Yang). They believed too much Warm foods could have a warming effect on your body while too much Cold foods could have a cooling effect on your body. Some of the warming effects could be hard on your liver, thicken your blood, raise your blood pressure, or cause pimples. Cold foods could cool your body, thin the blood, lower your blood pressure, clean your internal organs, or clear your complexion.